Echelon Donates is proud to partner with No Devotion Fans to support the Williams Syndrome Association (WSA) in honor of Archie Oliver, son of No Devotion band member Jamie Oliver. Also know in the art world as Richard J. Oliver, Jamie and his effervescent wife have two beautiful boys Sam and Archie. Last year, their youngest son Archie was diagnosed with Williams Syndrome. Let’s raise awareness and funds for this lesser known condition in honor of Archie! Their debut album Permanence will be released September 25, 2015. You can pre order the album here in the US or here in the UK. You can download Luke’s solo EP here. How to donate and win! Donate directly to Williams Syndrome Association using this link. In the box titled “In Honor Of” please type in Archie Oliver. 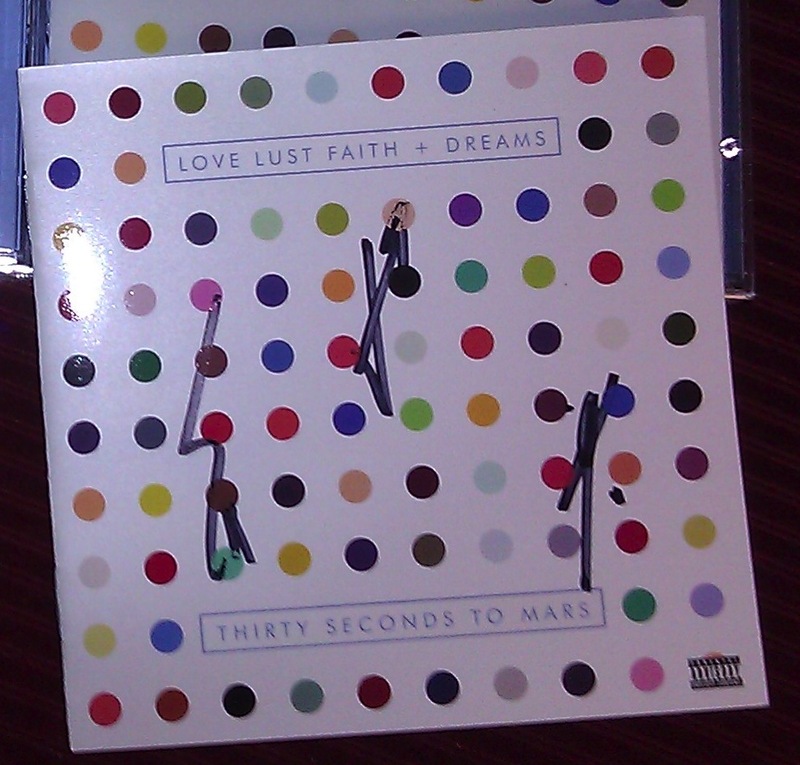 Forward your email to donate@EchelonDonates.com and include your Twitter name and the prize you’d like to win in the raffle. Every $5 donated will equal one raffle entry. Donate $20 and that’s four raffle entries! Three people will be chosen at random to be entered into winning the No Devotion autographed 10,000 Summers vinyl via the @NoDevotionsFans twitter account. To enter to win all other prizes, you must donate. 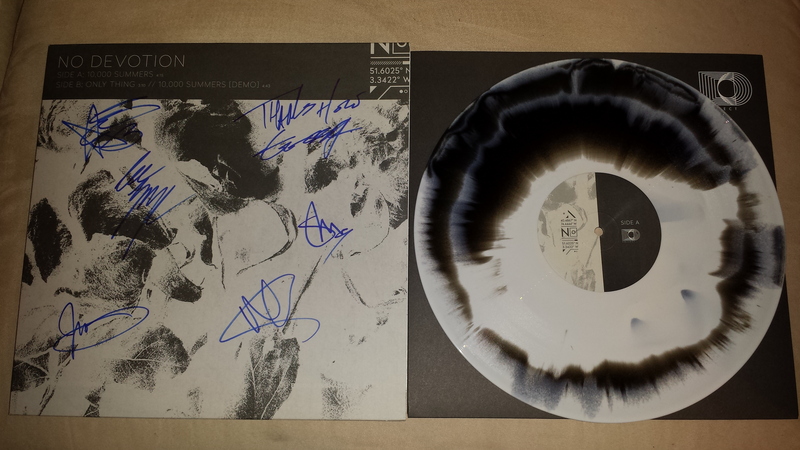 An autographed No Devotion 10,000 Summers vinyl obtained by Ali at the October 2014 show in Brooklyn, NY. The vinyl is signed by Lee Gaze, Stu Richardson, Mike Lewis, Geoff Rickly, Jamie Oliver and Luke Johnson. Included is the MP3 download of all the songs on the vinyl. 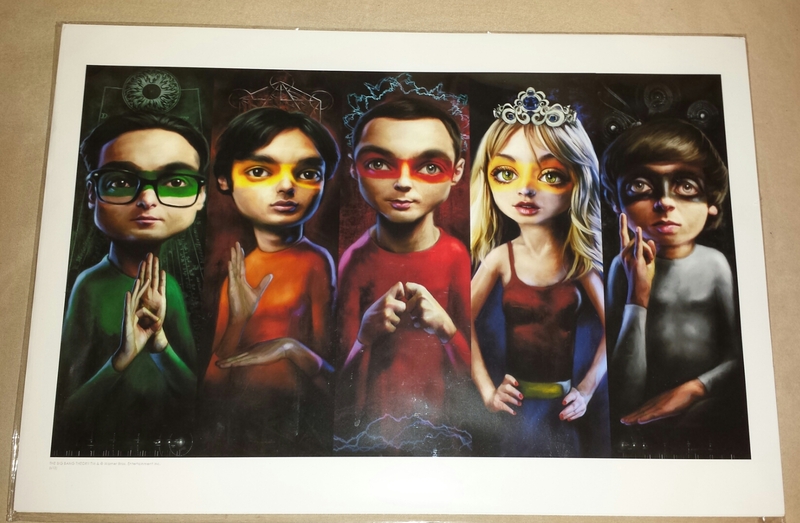 A Richard J. Oliver print of “In The Beginning There Was Nothing, Which Exploded.” This Big Bang Theory print is currently no longer produced for sale. You can view other paintings by Mr. Oliver at his website & purchase a painting or print here. 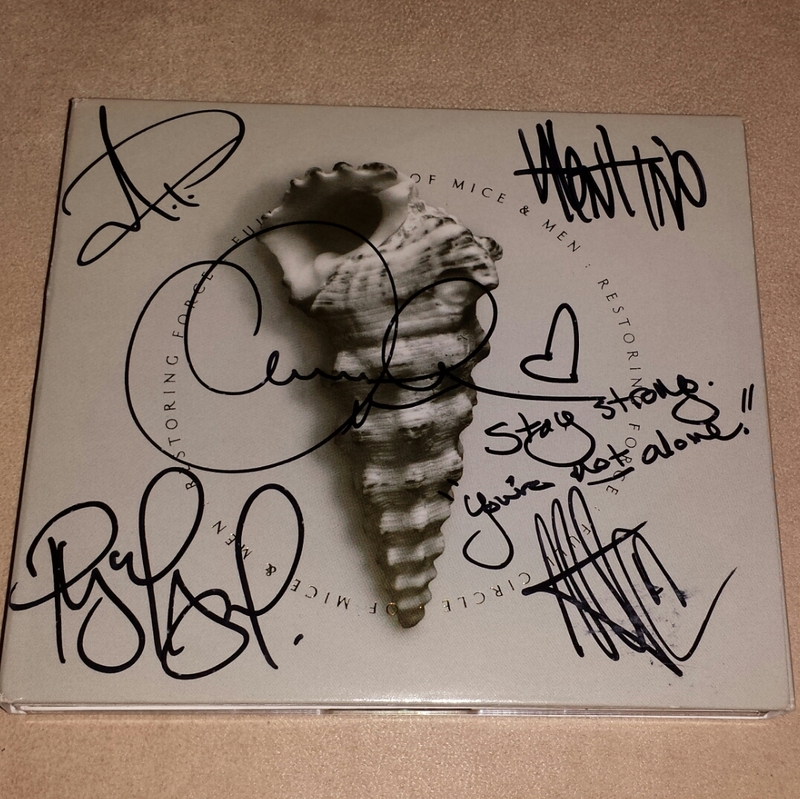 An autographed Of Mice & Men Restoring Forces: Full Circle CD courtesy of Austin Carlile obtained by Ali at the May 11, 2015 Starland Ballroom in Sayerville, NJ. We have chosen to support Williams Syndrome Association but this was not a clear and easy choice. 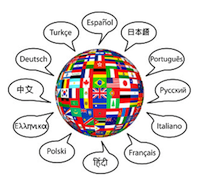 In our four year history at Echelon Donates, we seek to educate about determining the financial soundness of a charity. We always use Charity Navigator as part of our research but Charity Star is the only charity watchdog that has a rating for any Williams Syndrome group. We had to scrub the internet to find a copy of their 2013 990 tax returns to break down their finances manually. To learn how to do research like this on your own, check out this article by ProPublica. We also recommend visiting Give.org by the Better Business Bureau along with googling reviews on other reputable websites. This entry was posted in 30 Seconds To Mars, Announcement, Big Bang Theory, Call for Donations, Challenge, Contest, Echelon, Echelon Donates, Giveaway, Jamie Oliver, LLFD Giveaway, Lostprophets, No Devotion, Of Mice & Men, Photo, Promotion, Restoring Forces, Richard J Oliver, Williams Syndrome, WSA. ← Echelon Against Cancer: Help Us Make Our Goal!